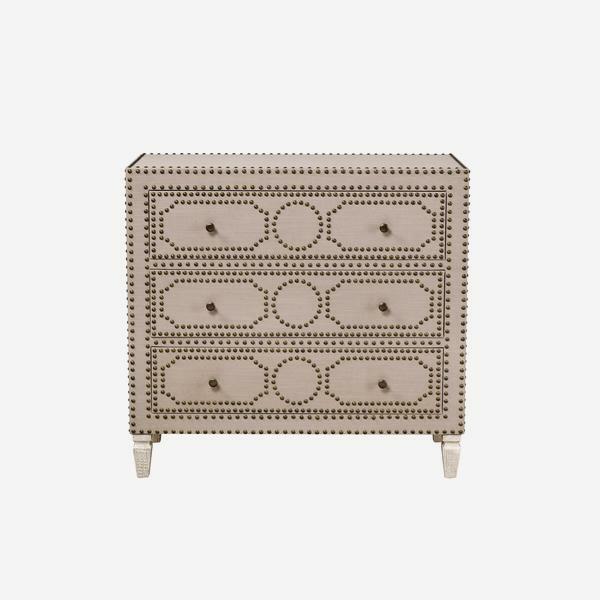 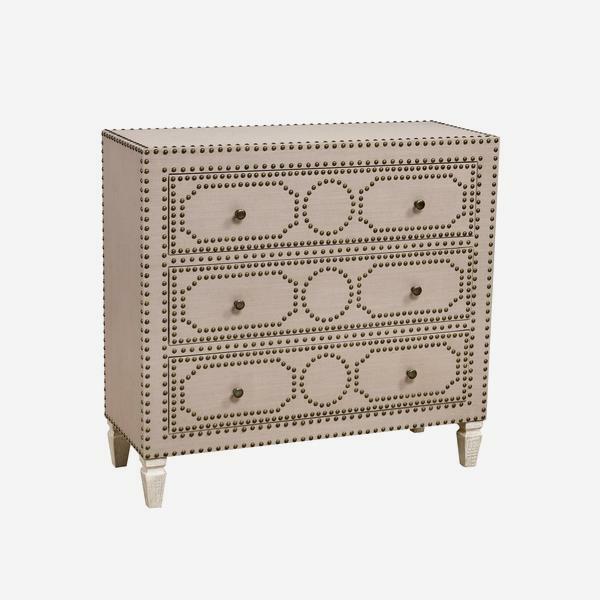 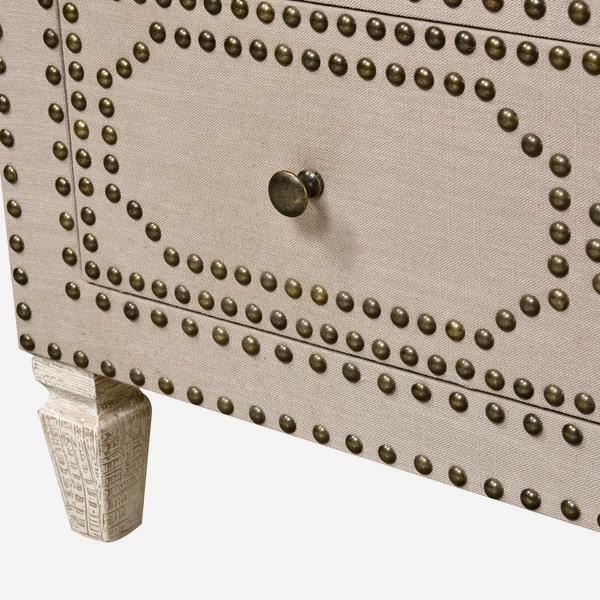 A quirky chest of drawers inspired by the style of a Spanish chest. 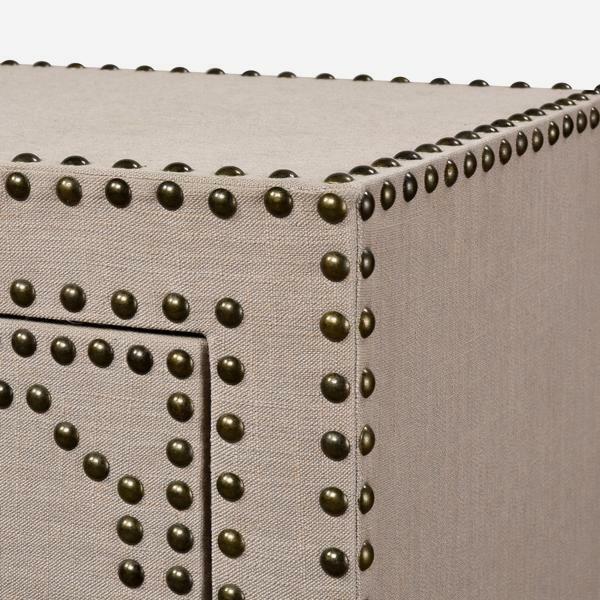 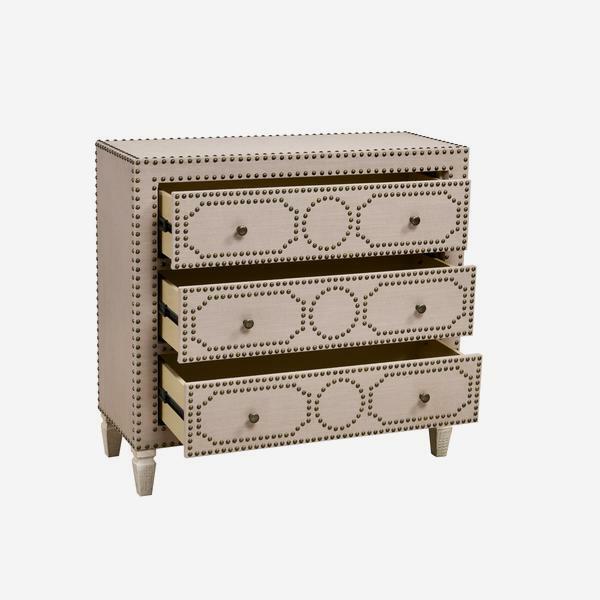 Canasta is covered in a neutral weave and decorated all over with antique brass finish studs and button handles. 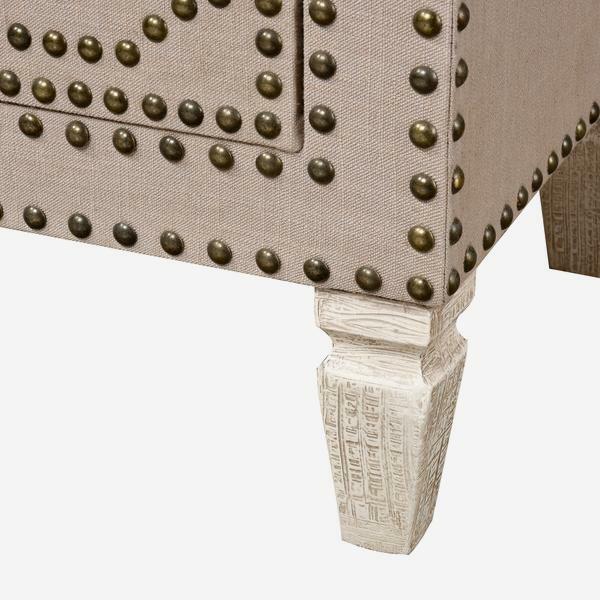 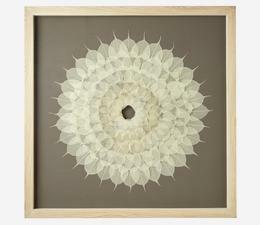 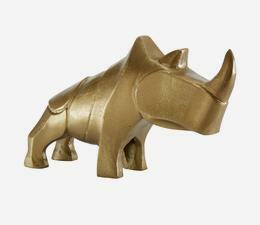 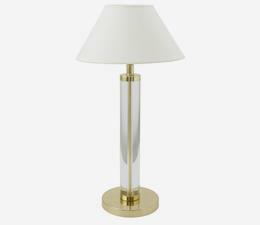 Its grooved, French country style wooden legs tops off this decorative statement.